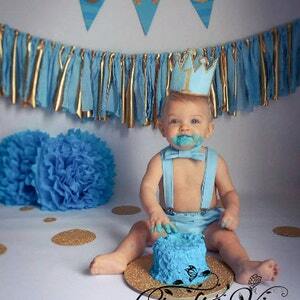 Your Prince will be ready for good cake smash photos in the Navy blue and gold cake smash outfit. 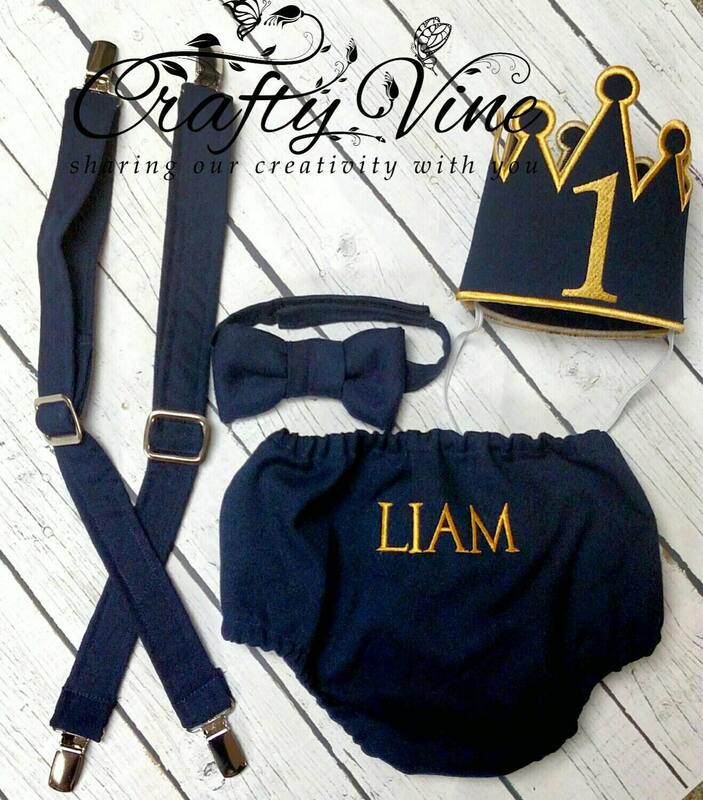 This outfit includes diaper cover (with or without name), crown with number 1, suspenders, and bow tie. 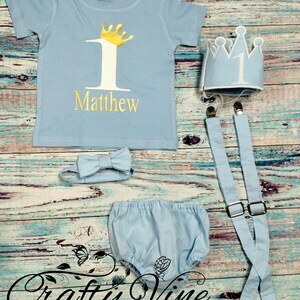 This is also available in other colors. 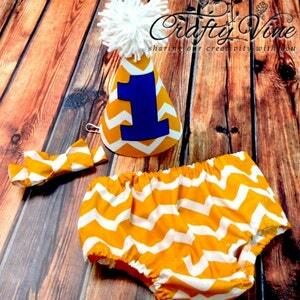 Contact us to order or leave a note with desired color when checking out.